People.ai, announced the introduction of the industry’s first and only Revenue Intelligence System powered by AI. This system is the first of its kind to automate the capture of all contact and customer activity data, dynamically update CRM and provide actionable intelligence across salesforce automation, collaboration, business intelligence, and other management tools for sales, marketing, customer success and services teams – exponentially accelerating enterprises’ productivity, efficiency and effectiveness to engage with customers and drive growth. Many companies invested millions in CRM and marketing automation tools with a promise of high ROI through better visibility into sales opportunities, increased sales productivity, marketing efficiency and better customer management. That investment has failed to live up to expectations, in large part because traditional CRM tools require users to manually enter contacts and customer activity data, which salespeople loathe, and which is their main productivity killer. Worse yet, sales, marketing and customer success teams have had to manually comb through excel files, information silos and tabular reports looking for insights like a needle in a haystack. This mundane productivity loss and manual search for insights wastes precious time and causes a combined 40-60 percent loss of selling capacity for large enterprises. SiriusDecisions estimates about one day per week per representative is burned up by manual administrative tasks. People.ai’s Revenue Intelligence System (RIS) to date has learned from more than $1 trillion in pipeline deals, 350 million sales activities, 26 million contacts and 15 million buying group participants. “Revenue Intelligence providers are leading the charge of delivering on the promise of what sales force automation was supposed to do,” said Dana Therrien Service Director, Sales Operations Strategies at SiriusDecisions. The People.ai Revenue Intelligence System answers complex revenue questions, and delivers intelligence to the right people in the enterprise to take action, such as which sequence of engaged buyer personas in an opportunity will maximize win rate or which engaged contacts, campaigns and sales activities were impactful in closing a deal or which person to get introduced to and how to produce maximum impact on a late stage deal. “Over the last few years, some organizations have combined sales and marketing operations teams into revenue operations to bridge the divide between sales and marketing; that’s one step, but it doesn’t directly impact growth” added Rogynskyy. 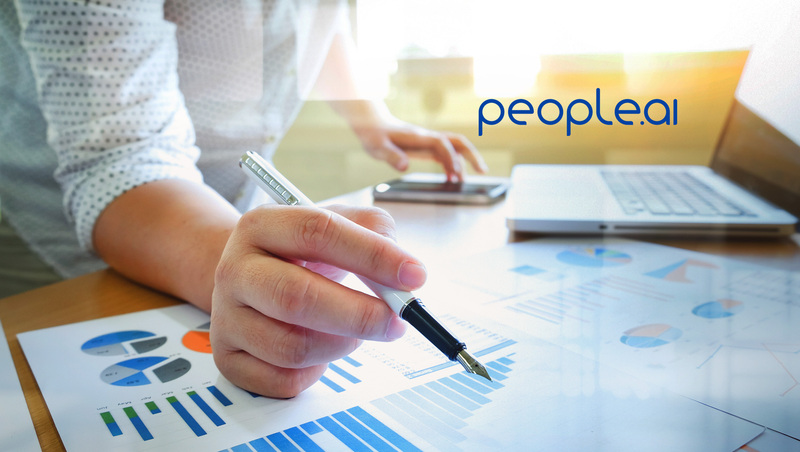 People.ai requires minimal user training and change management, is fully GDPR compliant, holds SSAE SOC II type 2 and ISO 27001 information security certifications with the AI-powered and patented capability to keep personal and sensitive information from being logged into CRM across 38 languages. People.ai is also proud to welcome ThoughtSpot, the leader in search and AI-driven analytics for the enterprise, to our Revenue Intelligence System as the newest People.ai customer to deliver insights across all their go-to-market activity data, enabling them to solve the problem of campaign attribution and increase campaign ROI.